What is Business Wargaming? HOW DOES IT HELP? Business Wargaming is a method to simulate, verify and challenge strategic decisions in dynamic market environments. Based on expert insights and scientific research results, simulations are conducted in workshops. Every competitor is represented by a team to simulate environmental dynamics and competitive situations of a company or project. The experience gained during these workshops helps to adjust the strategic decisions. 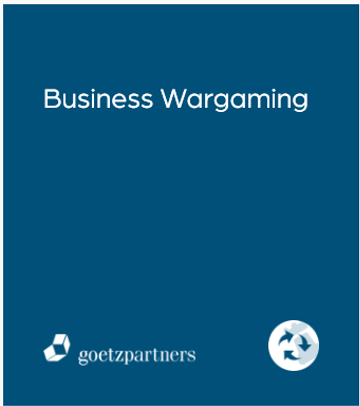 goetzpartners' Business Wargaming 2.0 approach applies an innovative technology to support the preparation and execution of the workshop and ultimately the decision-making process. It is structured in 4 well-defined steps and leads to clear strategic recommendations. provides a dynamic and forward-looking method which takes the competitive perspective explicitly into account (actio-reactio analysis). adds a behavioural component and creates its own and unique momentum through dedicated workshops. aligns teams across functions and drives the participants towards common objectives. Combining game theory, expert insights, digital modelling and the competitor's point of view, Business Wargaming 2.0 is a strikingly powerful approach for strategy development. Business Wargaming 2.0 seeks to simulate the real-world factors that affect clients’ organizations. It is typically applied in situations such as markets with new entrants, consolidating markets, evaluation of organic and inorganic growth options, appraisal of disruptive effects or production scenarios. Threat of new entrant: Verify strategic options when a new competitor enters the market. Growth game: Strategic evaluation of organic and inorganic growth options. Innovation game: Simulation of disruptive effects such as new products, methods, technologies and standards entering the market, e.g. Internet of Things. Production game: Assessment of production scenarios such as construction, maintenance, upgrade or shutdown of FABs as well as footprint optimization and new FAB builds of competitors. Consolidation game: Simulation of horizontal and vertical consolidation scenarios on competitive, supplier and client landscape as well as multiple M&A scenarios applicable. The Business Wargaming App provides a structured simulation framework from the specific point-of-view of each team, allowing to test different strategies with rapid iterations. Discover our Online Simulation Business Wargaming App and define the strategy of a future electric-automotive player in the global market and see how its competitors will react! 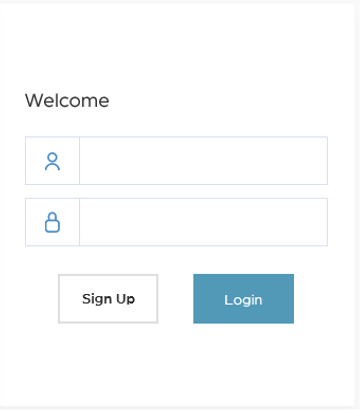 AFTER FILLING IN THE FORM YOU CAN DOWNLOAD OUR WHITEPAPER AND GET FREE ACCESS TO OUR ONLINE Simulation APP. "The project took all involved participants from the various departments on a strategy journey that lead to important results – interesting findings and group alignment in a short period of time!" "The Wargaming ultimately led us to take a new investment decision. This way we were able to explore strategic options from several different perspectives."